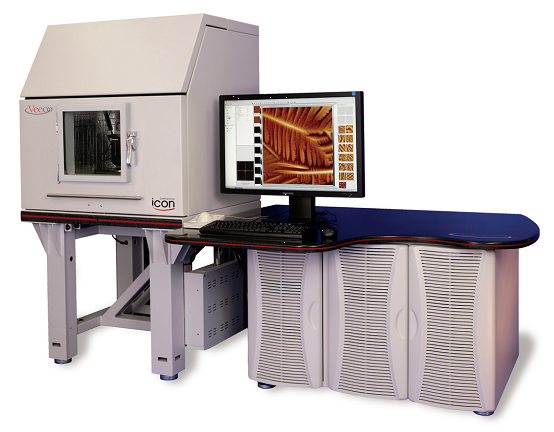 Hong Kong, China – April, 2013 – Dymek receives purchase order of the Icon AFM from a Material and Science Laboratory for R&D purpose. Dymek has partnered with Bruker Nano, and works together with the laboratory to support hi-tech industries in Southern China by Icon AFM. Bruker Nano’s Dimension® Icon™ Atomic Force Microscope (AFM) System introduces new levels of performance, functionality, and AFM accessibility to nanoscale researchers in science and industry. Building upon the world’s most utilized large-sample AFM platform, the latest Dimension system is the culmination of decades of technological innovation, customer feedback, and industry-leading application flexibility. The Icon has been designed from top to bottom to deliver the revolutionary low drift and low noise that allows users to achieve artifact-free images in minutes instead of hours, enabling increased productivity.